Tucked in a row of clothiers, the Ferrari Store has to conjure the experience of zipping around in a sports car for window shoppers on foot. Customers browsing its clothes and accessories can’t exactly go out for a spin—no matter how road-ready the race car on display looks. 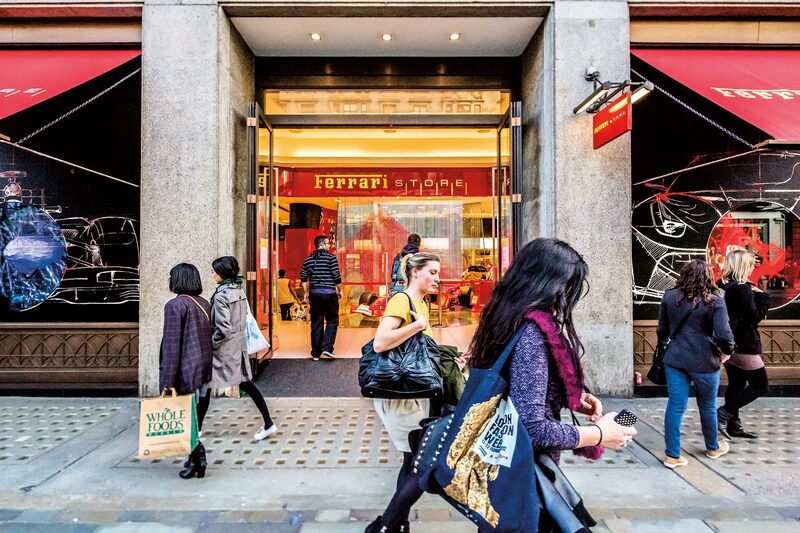 For the 2013 Regent Street Windows Project, Gensler joined forces with artist George Singer and event company Icon to transform the store’s four windows with an installation that captured the adrenaline rush of driving one of Ferrari’s powerful sports cars.